Full online documentation for the WP EasyCart eCommerce plugin! 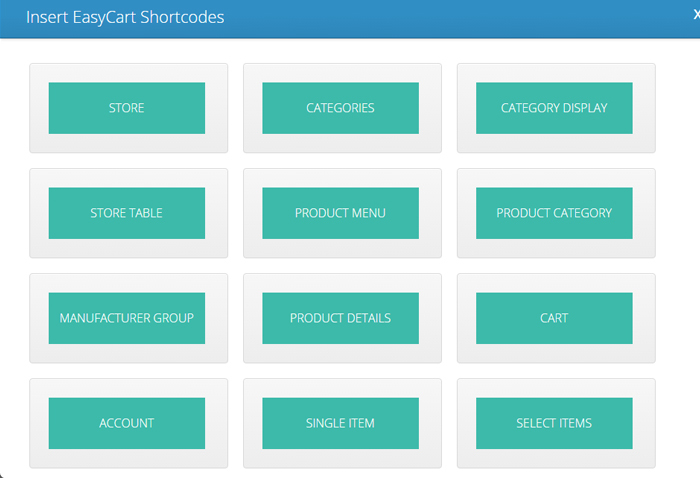 EasyCart offers a wide selection of shortcodes which can easily be added on any page through our shortcode editor. All you need to do is click the tiny cart icon in the toolbar of your page editor (image below). The store shortcode is a simple way to add the ec_store shortcode to any page. Nothing custom to add for this item. This shortcode allows you to show all featured categories OR pick a parent category and show that categories children. This will show categories as a list of product like elements. This shortcode allows you to show all featured categories OR pick a parent category and show that categories children. This shortcode works best if you add a description and image to the featured or children categories that will be displayed and works best if you have 3 layers of categories. For example, you have a category Household Items, and inside of that you have Couches, Chairs, and TVs. Inside Couches you have Pull-Out Couches, Recliner Couches, etc.. This will display as follows in the image below. This shortcode allows you to insert a store shortcode, customized with the menu id of your choice. This allows you to build any page custom to a particular menu with the EasyCart store items included. Learn how to build a store menu system here. This shortcode allows you to insert a store shortcode, customized with the category id of your choice. This allows you to build any page custom to a particular category with the EasyCart store items included. Learn how to build a store category here. This shortcode allows you to insert a store shortcode, customized with the manufacturer id of your choice. This allows you to build any page custom to a particular manufacturer with the EasyCart store items included. Learn how to build a store manufacturer here. This shortcode allows you to insert a store shortcode, customized with the product product id of your choice. This allows you to build any page custom to a particular product with the EasyCart product displayed directly on a specific page. Learn how to build a product here. This is just a simple shortcode to make any page into an EasyCart cart page. This is just a simple shortcode to make any page into an EasyCart account page. This shortcode allows you to insert a single product shortcode, customized with the product product id of your choice and a style. This allows you to build any page custom to a particular product with the EasyCart product displayed directly on a specific page. 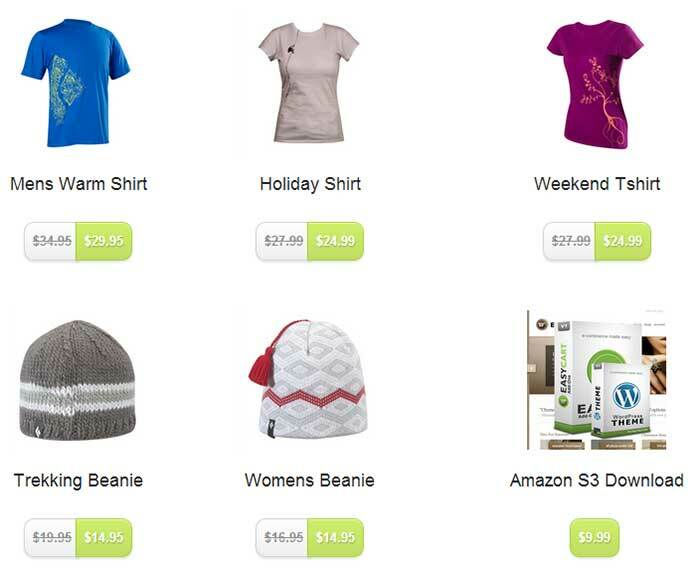 This tool is useful for building a custom layout of products specific to your needs. Learn how to build a product here. Easily create a product display list using a the display type “custom display type 1”, and with the code provided, resulting in the image below. 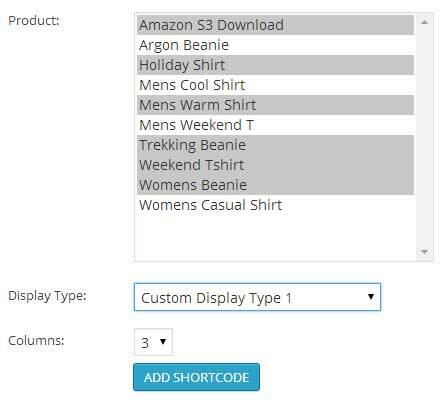 This shortcode allows you to insert a multiple products in any order you want and with a custom display type. This allows you to have more control over the diplay order of the products and minimize the information that is shown to the customer. This tool is useful for building a custom layout of products specific to your needs. Learn how to build a product here. Easily create a product display list using a the display type “custom display type 1”. Order the items by rearranging the product ids in the shortcode once added to the text editor. Notice, you should match the columns to the relative width of the page for best visual results! This shortcode results in the display below. This is a simple option to add an add to cart button to any page. This is great if you prefer to build a custom page display and simply apply an add to cart button somewhere on the page. This is useful for those users that have a large amount of data, videos, documents, etc… that they wish to provide to help a customer in the purchasing process. This is a simple shortcode to display your cart items on a page without any of the checkout information. The best way to lock down membership content is to create a new wordpress page and simply use our sidebar to lock down the page content. Look for the following sidebar on your page editor and you can limit access based on specific products, users, or user roles. This also allows you to simply restrict access to a wordpress page and redirect users to a url if they are not allowed access, such as a login page with instructions to purchase a membership or login. Use this shortcode to wrap membership content that will only be available to customers with a puchase of a particular product or those who have active subscriptions to a recurring billing product. 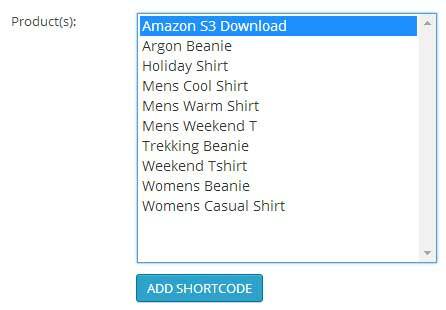 Set this shortcode up by first selecting a product or products required to access the page. Next, edit the content inside the ec_membership tags as the content that will be shown to members. Finally, edit the alternate content to provide non-members information on how they can purchase your membership content and what they will be receiving. b. redirect – This is used on login if you wish to send a user to a custom page after login, good for membership content login pages. i. style – we offer styles 1, 2, and 3, which you can try to see what they look like. 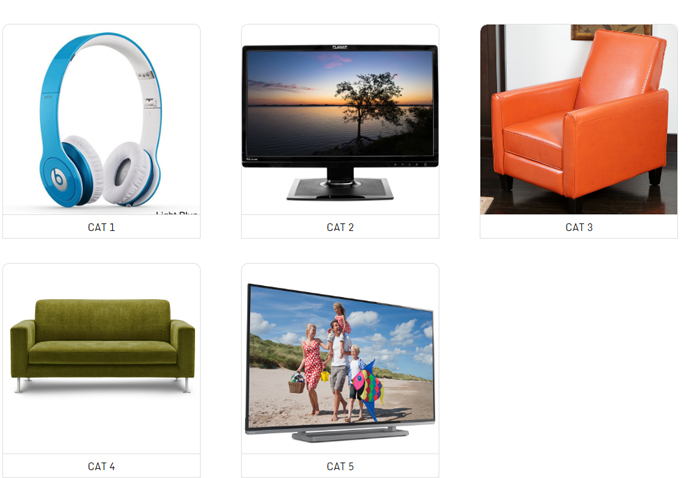 a. productid – references the product that should display an add to cart button (includes options if applicable). 6. [ec_cartdisplay] – simple cart display shortcode. a. productid – references products that must be purchased to see the membership content, ids seperated by a comma. b. userroles – references custom user roles setup in the EasyCart accounts (edit account and add user roles as needed). 8. [ec_membership_alt productid=’1,2,3′ userroles=’shopper,admin] – Shows the content for NON members. Match the productid and userroles to your ec_membership shortcode. 9. [ec_store_table productid=’1′ menuid=”1″ submenuid=’2′ subsubmenuid=’3′ manufacturerid=’4′ categoryid=’5′ labels=’model Number, Product Name, Price’ columns=’model_number, title, price, details_link’, view_details=’View Product Details’] – This displays a table of products, good for products that do not need images. h. columns – Table data (match headers!) and must find values in the ec_product table of the database. Also, details_link will display a product details link in a column, no header lable needed. i. view_details – This is the label for the view details that will be used. 10. ec_categories[menuid=”1″ submenuid=’2′ subsubmenuid=’3′ manufacturerid=’4′ groupid=’5′ modelnumber=’XYZ’ language=’en’] – This will show a list of categories for products that are included or category ids included in the shortcode. Categories link into a list of products.